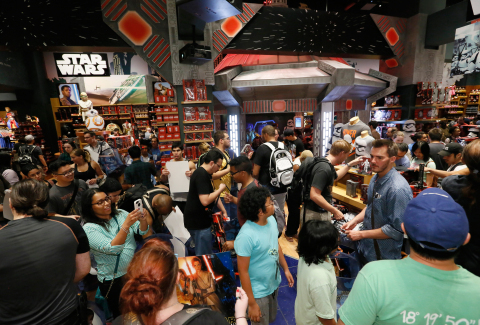 celebration continued as more than 3,000 retail locations in the U.S.
discover new Star Wars products. Products and Interactive Media and President, Disney Consumer Products. Changing Masks exclusive to Disney Store. “R” Us and Walmart, as well as Disney Store and disneystore.com. affiliates. © & TM Lucasfilm Ltd.